Patients with vitreous floaters can be quite symptomatic, leading to psychological distress and even depression. 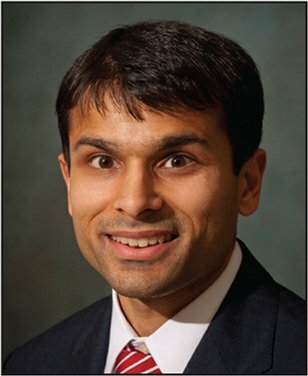 In this installment of Practical Retina, Chirag P. Shah, MD, MPH, from Ophthalmic Consultants of Boston, gives an update on the management of symptomatic vitreous floaters. He highlights a framework for deciding between observation, YAG vitreolysis, and vitrectomy surgery, and provides pearls on the key aspects of patient selection and the management of expectations and risks. 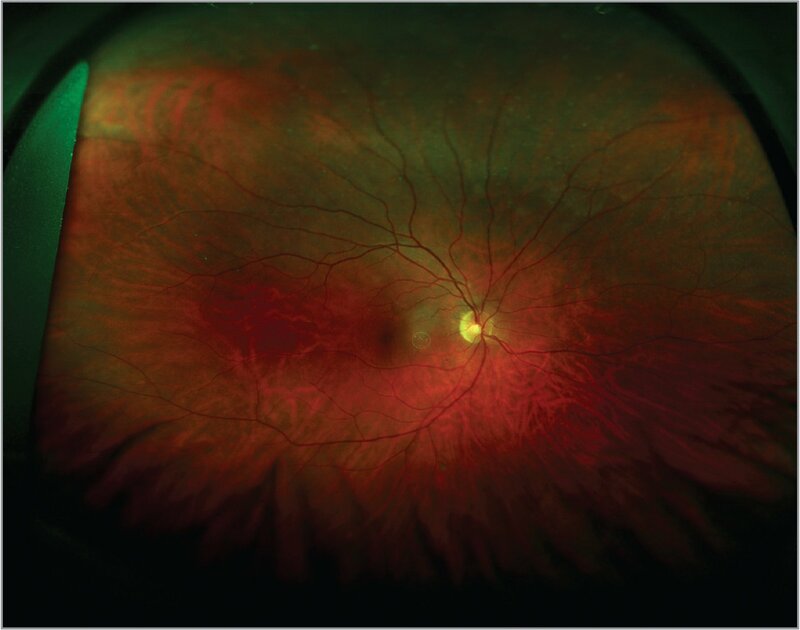 As the number of cases of YAG vitreolysis performed nationwide increases, so too do reports of complications such as retinal tear and detachment. 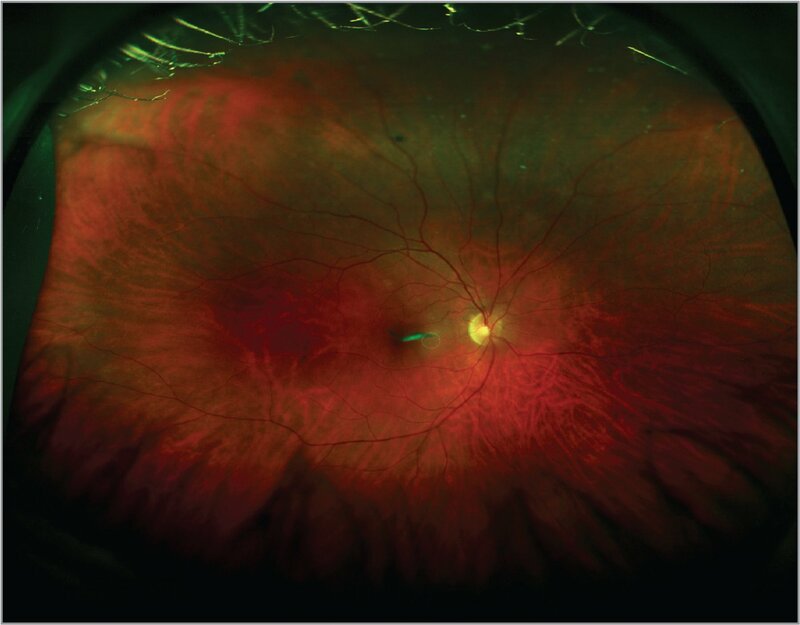 These complications have garnered the attention of the American Society of Retina Specialists Research and Safety in Therapeutics Committee in a recent publication. Readers interested in performing YAG vitreolysis for their own patients will find it telling how frequently Dr. Shah reports performing the procedure himself. After all, he was the lead author on the first (and currently the only) randomized, controlled clinical trial evaluating YAG vitreolysis. Dr. Shah also discusses important tips for appropriate billing for YAG vitreolysis. Hopefully, in the future, retina specialists will have a noninvasive and highly effective treatment option without side effects for the ubiquitous problem of vitreous floaters. Until that time, the problem remains not an unmet need, but perhaps an under-met need in retina, and readers will find Dr. Shah's insights invaluable. Floaters are the blepharitis of a retina practice. Patients are often more focused on their floaters than they are on potentially blinding retinal diseases, such as diabetic retinopathy or macular degeneration. The rub is that we do not have a risk-free “magic bullet” to treat visually significant floaters. The only three options are observation, YAG vitreolysis, and vitrectomy surgery, each with their own positives and negatives. Before discussing these treatment options, it must be noted that there is tremendous variation in the types of floaters and their degree of visual significance. One of the most common causes of symptomatic floaters is posterior vitreous detachment associated with a Weiss ring and vitreous opacities. Most patients are able to neuroadapt to these floaters over time. Floaters can also be due to myopic vitreopathy, which can cause clumpy floaters in the visual axis that often progress. Retinal tears and retinal detachments are almost always associated with floaters from released retinal pigment epithelial cells, in addition to vitreous opacities. Occasionally, these floaters can be on a spectrum with grade A proliferative vitreoretinopathy. Vitreous hemorrhage and vitritis are other causes, as well as emulsified silicone oil droplets from intravitreal injections. The cause of visually significant floaters must be determined in an effort to chart the most appropriate treatment course. Observation with patient counseling and reassurance about neuroadaptation is by far the most common treatment option for visually significant floaters. I employ observation 99.9% of the time. Weeks or months after a posterior vitreous detachment, some patients feel they are floater-free. Others have adapted to their “new normal” and learn to cope. There is only a small proportion of patients who wish to seriously discuss other treatment options for their floaters. In my experience, these patients either have objectively significant floaters, such as those occasionally evident after pneumatic retinopexy, and/or they have a more anxious and detail-oriented personality. It is critical to correlate the floaters evident on exam with the patient's symptoms. Patients whose symptoms are exaggerated beyond what is present organically may be difficult to please and might not be good treatment candidates. YAG vitreolysis is an emerging treatment option that someday may fill a niche between observation and vitrectomy (Figures 1 and 2). However, based on the data available now (March 2018), I consider YAG vitreolysis to be experimental. I do not perform YAG vitreolysis and have never performed the procedure outside of a pilot study we conducted on Weiss ring floaters. Our study of 52 patients, 36 of whom were treated with a single YAG vitreolysis session, found that slightly more than half had significant or complete resolution of their floaters.1 Though encouraging, this pilot study is the only randomized, controlled trial evaluating YAG vitreolysis, and larger studies of longer duration are needed to answer many important questions. For instance, what floater types are amenable to YAG vitreolysis? How many treatment sessions are optimal? What personality types are good candidates? The appearance of a symptomatic Weiss ring in front of the fovea. The patient noted difficulty reading when the floater drifted within his central visual axis. The appearance of a clear visual axis after YAG vitreolysis of the Weiss ring. The patient reported a 99% improvement in his symptoms. Further, we know there are many risks with YAG vitreolysis, such as glaucoma, retinal damage, cataract formation, retinal tear, and retinal detachment,2 but we do not know the rates of these risks. I suspect they are lower than that after vitrectomy, but this is not known for certain without more data. One other concern with YAG vitreolysis presently, is that there is no dedicated CPT billing code. Some doctors are using code 67031, which is for “severing of vitreous strands, vitreous face adhesions, sheets, membranes or opacities.” This is different than YAG vitreolysis, the purpose of which is to vaporize vitreous opacities; however, my understanding is that insurance companies typically reimburse this CPT code for YAG vitreolysis. It is currently unknown as to whether an increase in its use will result in increased scrutiny of both the code and the physician. The Australian National Health Service stopped reimbursing a similar code that was being used for YAG vitreolysis there. Most doctors performing YAG vitreolysis charge the patient directly, similar to the reimbursement model for refractive surgery, premium intraocular lenses, corneal cross-linking, and Botox (onabotulinumtoxinA; Allergan, Dublin, Republic of Ireland), to name a few. This is probably the safest reimbursement model for YAG vitreolysis, in the absence of a U.S. Food and Drug Administration registration trial and dedicated CPT reimbursement code; however, this limits its accessibility within the already limited niche of patients who may benefit from the procedure. To compound matters, a cash-only model may select for more demanding patients, making it even more of a challenge to satisfy. Moreover, the concept of discussing payment with patients is foreign to most retina doctors, particularly when trying sell a procedure with limited clinical trial data. Vitrectomy is the tried-and-tested method of removing the vitreous, thereby clearing the visual axis of floaters. Studies have reported a very high satisfaction rate, at more than 95%.3 Further, the advent of 27-gauge vitrectomy with smaller wounds and, at least in principle, lower risks of hypotony and endophthalmitis, has reduced the threshold of offering vitrectomy to patients with debilitating floaters, compared to the old days of 20- and 23-gauge surgery. Despite the success rate and improved technology (and my love for performing vitrectomy surgery), I only perform about one floaterectomy each year. These patients are among the happiest in my practice. I admit I am likely undertreating, but such is the culture in a medically conservative region like New England. If it were not for the potential risks, we would offer vitrectomy to everyone with visually significant floaters. Unlike YAG vitreolysis, we have ample data to understand the complication rates of vitrectomy. Among others, these risks include the accelerated maturation of a cataract, a small risk of infection (one in 1,000), and a real risk of retinal detachment (0% to 10.9%, depending on the study).4,5 To me, the risk of retinal detachment is the most concerning; you could turn a 20/20 eye with floaters into a counting fingers eye unable to appreciate its clear visual axis. Nonetheless, vitrectomy remains the most definitive option for patients with debilitating floaters and is a reasonable option for patients willing to assume the risks. Floaters often seem nearly ubiquitous in a retina practice, and yet our treatment options remain imperfect with variable advantages and disadvantages. Thus, we rely on the art of our craft, trying to individualize approaches to specific patients using our judgment of different floater types and personality types, all within the context of our practice environments. I keep a stepwise algorithm in mind in an effort to minimize risk, starting with observation for everyone. For those still bothered by a discrete floater after 6 months of observation, I will consider referring for YAG vitreolysis. Among those with more diffuse floaters or for those who have failed YAG vitreolysis, I will have several ongoing discussions about vitrectomy surgery, consciously focusing on the risks, and will proceed for the right patient, all the while hoping to do no harm. Chirag P. Shah, MD, MPH, can be reached at Ophthalmic Consultants of Boston, 50 Staniford St., #600, Boston, MA 02114; email: cpshah@eyeboston.com. Howard F. Fine, MD, MHSc, can be reached at Rutgers Robert Wood Johnson Medical School; New Jersey Retina, 10 Plum Street, Suite 600, New Brunswick, NJ 08901; email: hfine@njretina.com. Disclosures: Dr. Shah reports grants from Ellex outside the submitted work. 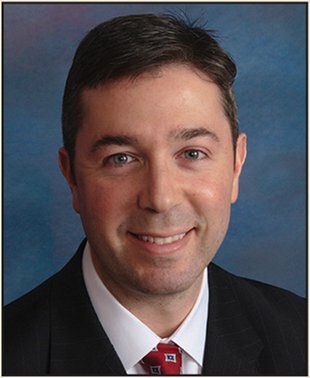 Dr. Fine is a consultant and/or speaker for Alimera, Allergan, Genentech, Regeneron, and Spark Therapeutics and has equity/patent interests in Auris Surgical Robotics.